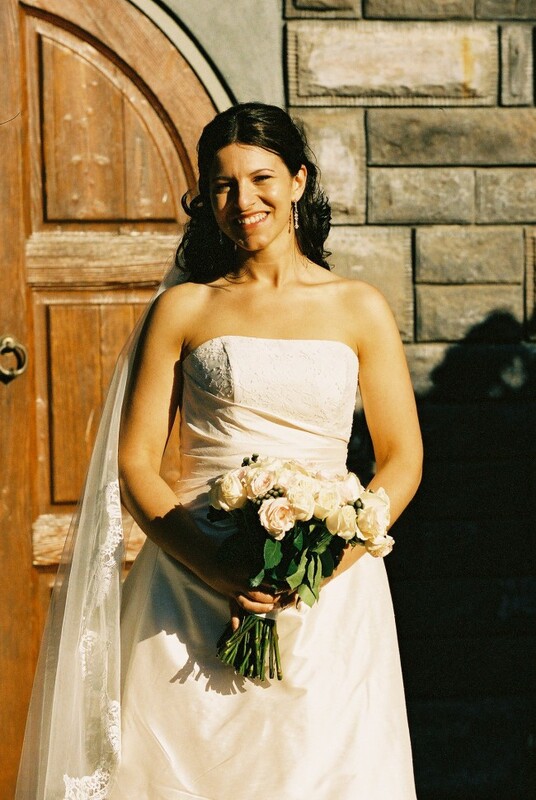 My much-loved wedding gown was designed by Helen Brownhill Couture in Blush silk with ivory French Chantilly lace in the bodice and back pleat. It was customised to include lace inserts and altered to be closer to a size 10. The dress is classically cut in a highly flattering A-line and is simple in its style to highlight the lace and beautiful fabric. The bodice will suit a smaller bust. I felt amazing in it, elegant but not about too be swallowed by fabric! The gown has been dry-cleaned by Ferrari Dry Cleaners and professionally boxed. The wedding took place 10 years ago, so a steam iron will be required for creasing, however the gown is still in excellent condition, with just a couple of faint marks at the hem. Last image shows the back of the gown at present. I was 166 cm at the time of the wedding.